The Botticelli bar globe is an antique style coffee table and a fine example of Italian craftsmanship. 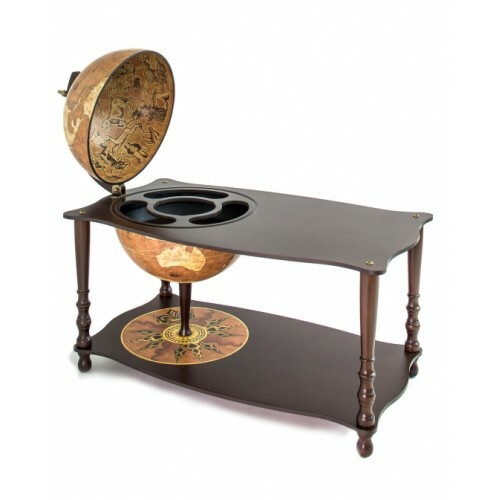 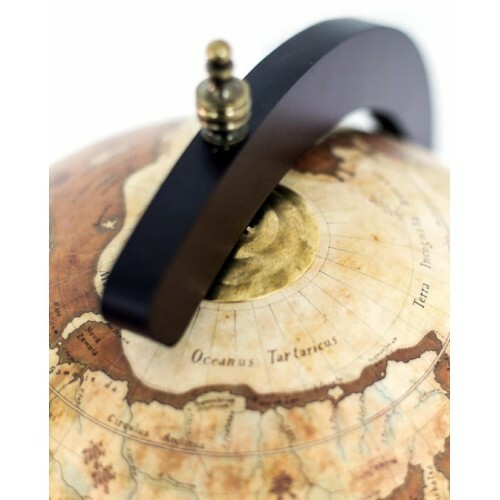 Based on a hand-drawn 18th century map, the Botticelli is a perfect match to any classic and traditional home interior which combines the functionality of the bar globe with the convenience of a coffee table. 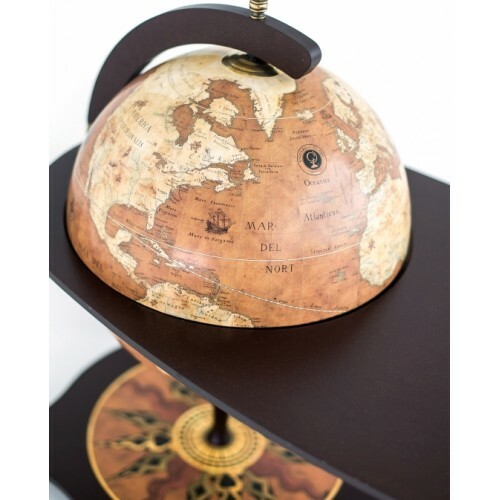 The 40cm diameter globe ball is sufficient to house at least 2 bottles and approximately 9 glasses. 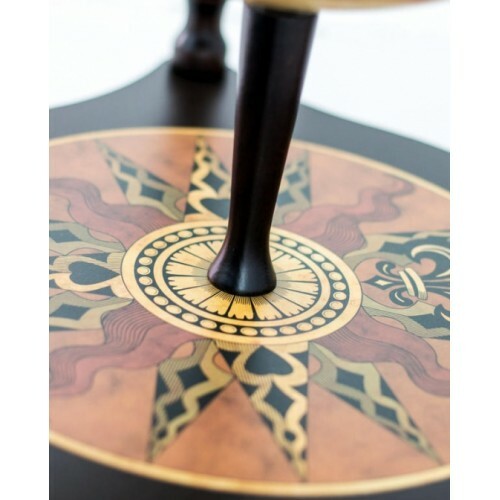 Additional bottles can be stored on the unique lower base shelf beautifully decorated with a wind rose.